I’m behind on my planting but there are plenty of spring blossoms on display in the vegetable garden these days. 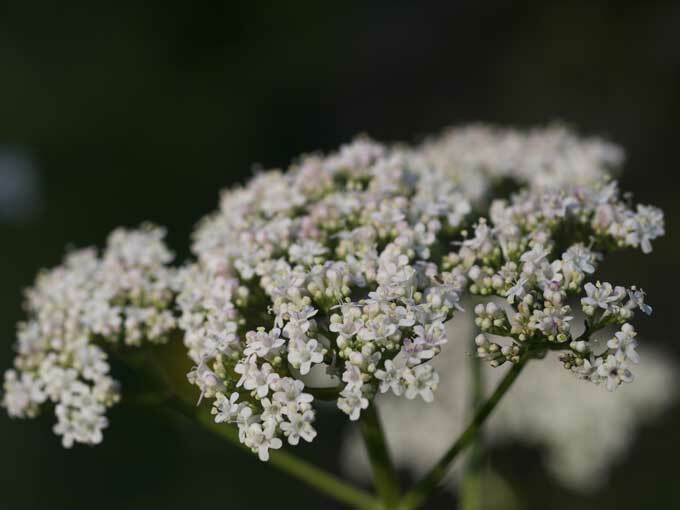 In addition to adding color and interest to the landscape flowers draw in a large range of beneficial insects to help with the tasks of pollination and pest control. The tiny Alyssums are barely noticeable to the casual gaze but stand out as bright beacons to insects in search of food and nectar. It always seems that some of the smallest blooms are the most attractive ones to beneficial insects such as parasitic wasps and native bees. 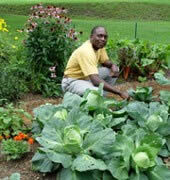 For the edible gardener the sight of flowers blooming is an indicator of the fruits that will soon follow. Like those strawberry blossoms that have now turned into big, sweet, juicy berries, or the blueberries that are just now beginning to ripen! 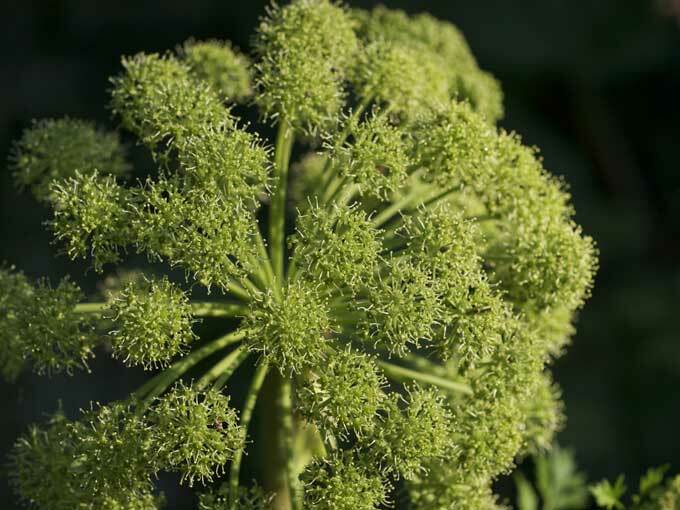 Angelica – One of the fastest growing plants in the spring garden, this medicinal herb puts on a good show with large blooms atop five foot tall stalks. 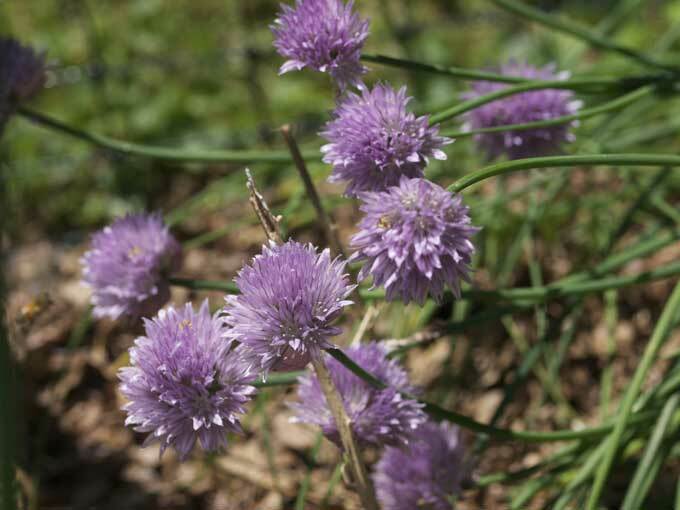 Chives – Round, puffy, lavender flowers appear in mass and can be harvested to add a touch of distinctive chive flavor to salads and other dishes in the gourmet kitchen. 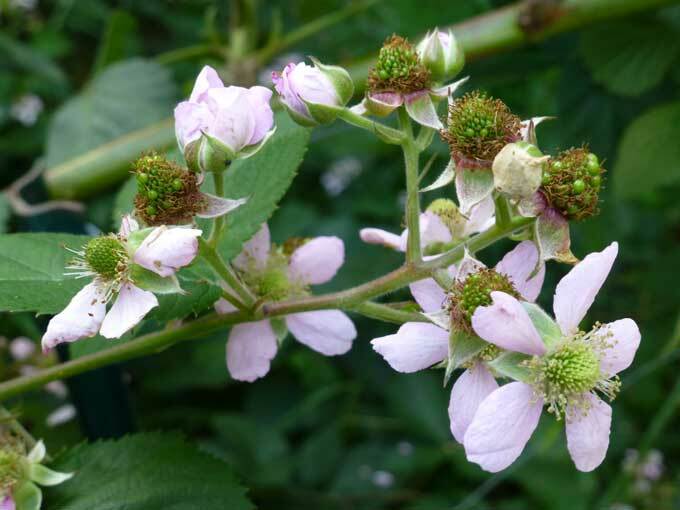 Blackberries – These flowers remind me a bit of miniature-sized roses with an assortment of pink and white blossoms that cover the fruiting canes and mature into huge dark purple berries. 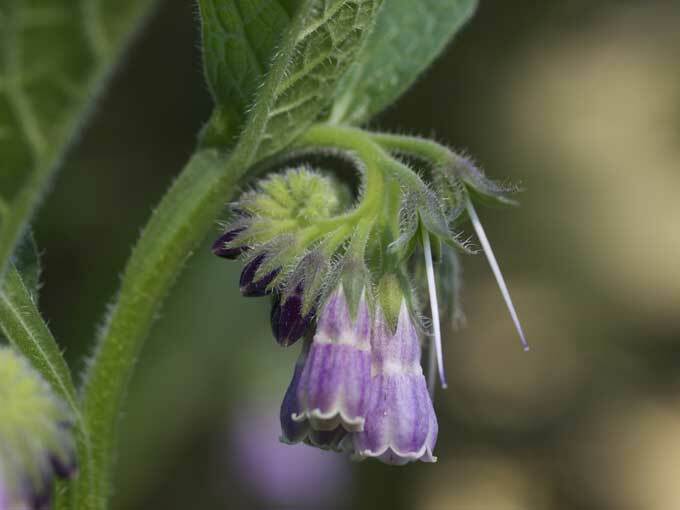 Comfrey – One of my favorite companion plants in the veggie garden, comfrey makes a good border plant, hosts beneficials, and can be cut multiple times during the summer to produce rich organic matter for the compost pile. 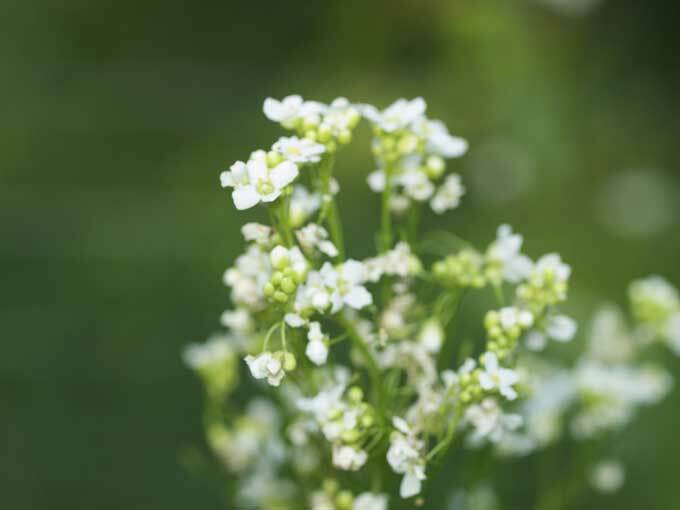 Horseradish – A reluctant bloomer, horseradish flowers are easy to overlook. Actually everything about the plant is rather reserved… unlike the roots when you blend them with vinegar to make a searingly hot sauce. 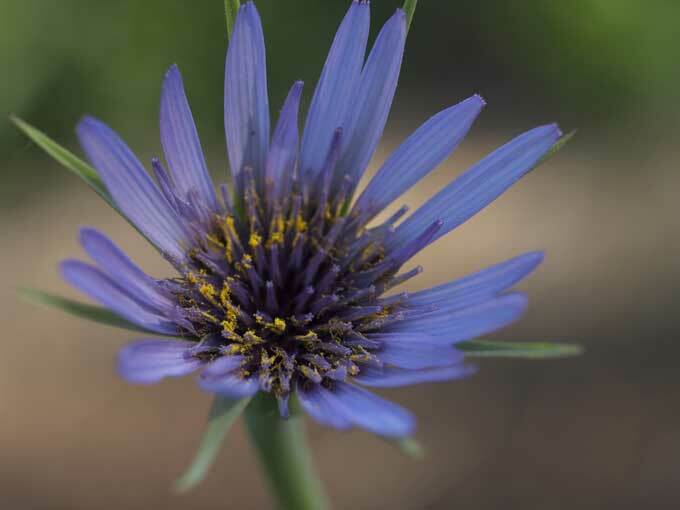 Salsify – Also known as oyster plant, salsify and scorzonera both grow like perennials in my garden and return year after year to produce clusters of flowers that are attractive to insects. 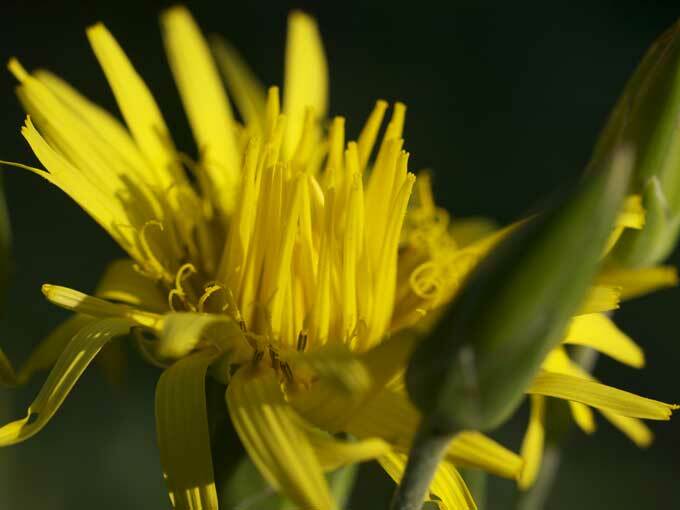 Scorzonera – You wouldn’t think so from examining the flowers, but Scorzonera is a close relative to Salsify and the roots produce the same hint of oyster-like flavor when eaten. 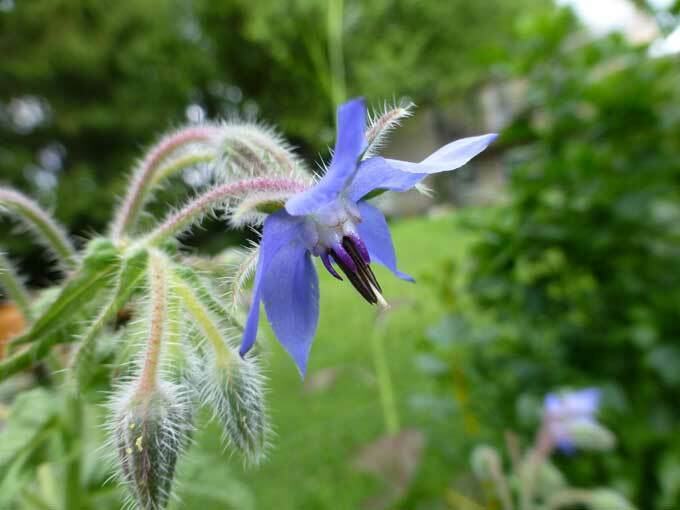 Borage – Small star shaped flowers are sweet, edible, and make a great garnish in salads or beverages. The leaves of this plant are also edible and frequently described as tasting like cucumbers. 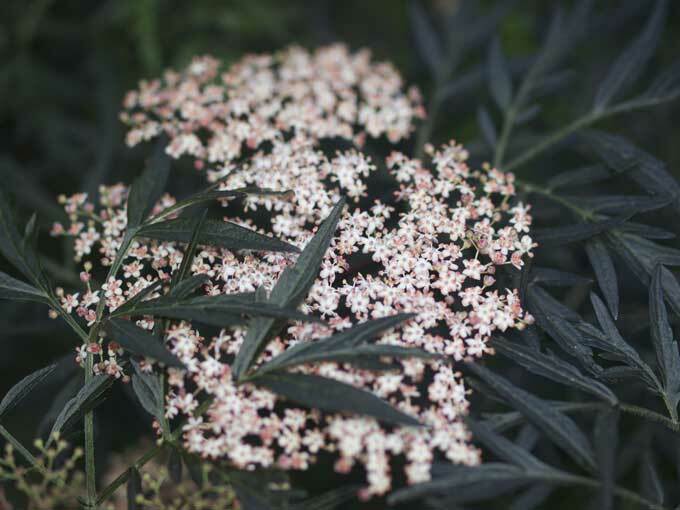 Elderberry – This is a purple-leaf variety with deeply cut foliage and small white flowers with pink fringes, each tiny bloom will develop into a small dark purple berry. 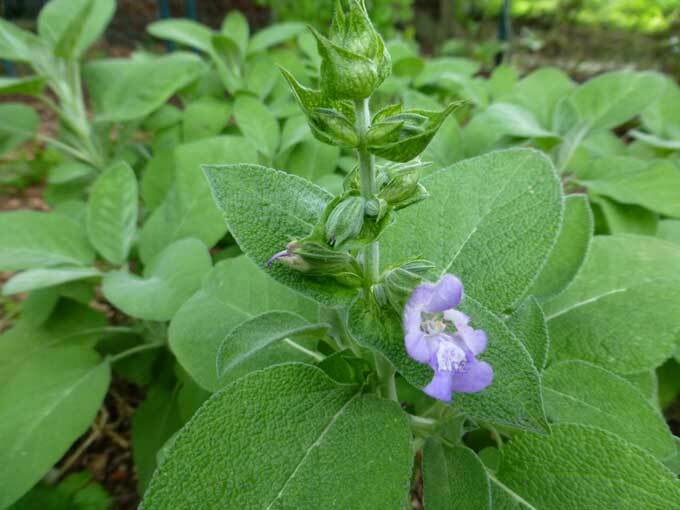 Sage – Culinary sages aren’t the biggest bloomers but this Berggarten variety over wintered in the herb bed and is just beginning to put on a display of tiny flowers offset against the large, soft, and textured leaves. 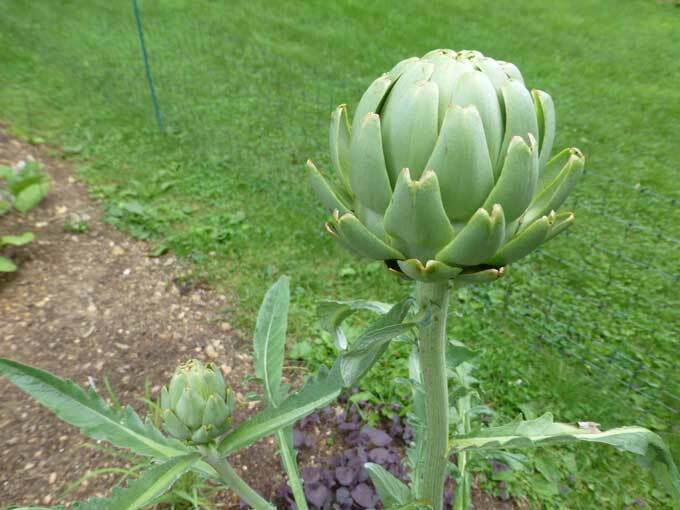 Artichoke – From some of the smallest flowers in the garden to one of the largest; I often leave artichoke buds on the plant and allow them to open into large blooms rather than harvest them for food. That’s just a glimpse of the unusual flowers that are on display in the vegetable garden this spring. Most of them are not popular with gardeners but are big hits among the beneficial insects that patrol the landscapes. Watching something grow that you have nurtured is a great joy and if you can harvest the produce so much the better. The success of your garden depends on making healthy garden soil. Add a little mulch or compost to make a good soil for your vegetable garden. Harvest your herbs gently, try to leave new shoots and never take more than half. Enjoy caring your plants. They are incredible. Well, well, I never knew what an artichoke looked like! What a closed world I inhabit. 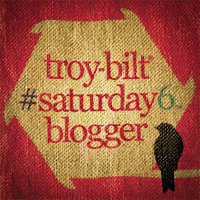 If you don’t recognize the name “strix” it’s the name I use online; I don’t use my real name, though you may remember who I am by my blog. Love borage flowers. And that artichoke looks so fresh! Hey Strix, of course I remember you, great to hear from you and this is a coincidence because I just recently visited your site and enjoyed catching up on your latest posts! 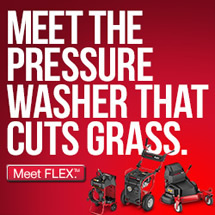 I had a “difference of opinion” with the admins at Fuhrman’s site so I don’t spend much time over there these days. Thanks for stopping by and for leaving a comment… keep in touch!